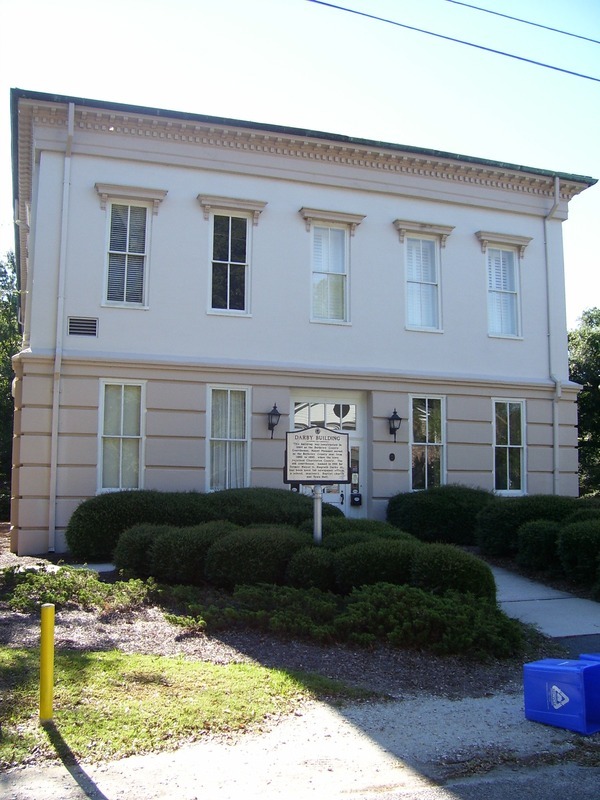 This building was constructed in 1884 as the Berkeley County Courthouse. 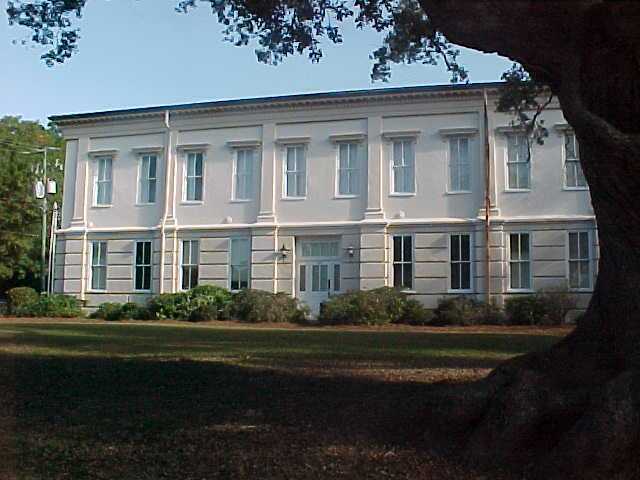 Mount Pleasant served as the Berkeley County seat from 1883 to 1895, when the town rejoined Charleston County. The old courthouse, named in 1991 for former Mayor G. Magrath Darby Jr., has been used for newspaper offices, a school, seminary, Baptist church and Town Hall. 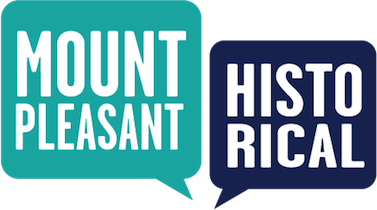 Town of Mount Pleasant Historical Commission, “Darby Building,” Mount Pleasant Historical, accessed April 21, 2019, http://mountpleasanthistorical.org/items/show/17.